Regular Pinnacle vodka has about the same number of calories as any other 80-proof vodka brand. 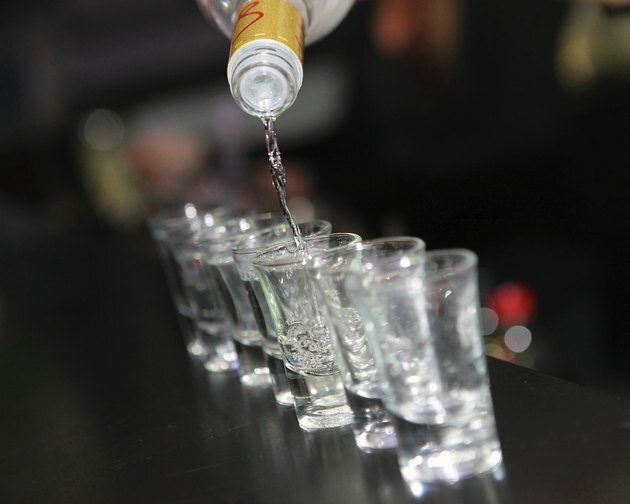 But Pinnacle is known for its cornucopia of sweet and fruity products, and these flavored vodkas tend to have more calories than the plain variety. As with all alcohols, Pinnacle vodka contains empty calories, meaning they have no nutritional value other than providing energy. One ounce of plain Pinnacle vodka contains about 64 calories; a shot is typically 1.5 ounces, so each serving contains about 96 calories. The flavored vodkas vary by product: A shot of Pinnacle Tropical Punch vodka contains 107 calories, a shot of Pinnacle Cotton Candy vodka contains 112 calories and a decadent shot of Pinnacle Chocolate Whipped vodka contains 133 calories. Adding mixers such as juice, cream or sugar-sweetened soda will further increase the calorie count. How Many Calories are in Southern Comfort?